Getting laid off from a job proved to be an opportunity for Michael Lloyd, a PhD student at NC State. A month after earning his master’s degree at North Carolina Central University in Durham, he lost his job with a pharmaceutical company and decided to become a sauce entrepreneur. 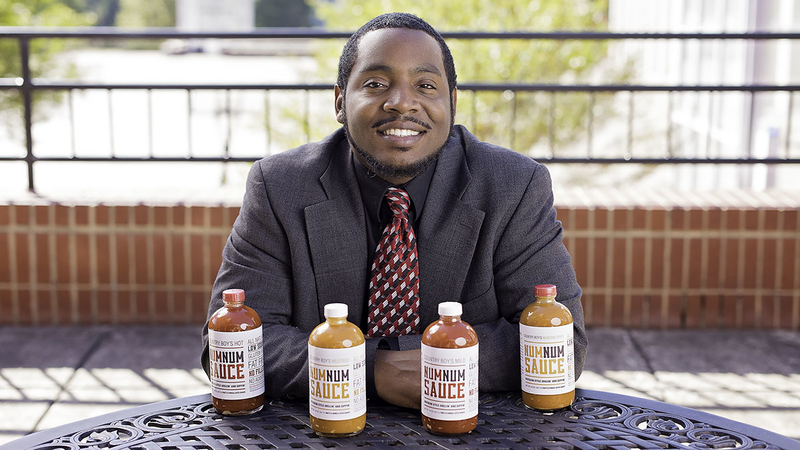 Now a student in NC State’s food, bioprocessing and nutrition sciences department, Lloyd is passionate about the product he developed called Num Num Sauce. He learned the process to create the sauces from his grandfather. And when he needed more knowledge about bioprocessing to take the product further, he came to NC State to pursue his doctorate. Growing up in Florida, Lloyd thought his Grandfather Faison (who was from Faison, N.C., but lived in Waynesville, Georgia) cooked the best food. He discovered his grandfather’s secret was not a recipe, but rather a process used to create the sauce. In 2008, Lloyd started his business, making sauces at night based on his grandfather’s process and marketing them on the weekends. As the business grew, he began to think about pursuing his PhD. “When I realized NC State had a food science program, I said, ‘that’s perfect. I’ll be able to learn more about the technology that I have and the food product,’” he said. Though other food science students have tried their hand at entrepreneurship, it’s unusual to see someone have the success that Lloyd has experienced, said Jon Allen, one of Lloyd’s professors. “He certainly is a special case—we don’t have a lot of people with his set of skills,” Allen said. Num Num Sauce is sold in Whole Foods Market and Fresh Market stores in six southeastern states and also in Europe through Marks & Spencer stores. And it comes in a variety of options: mustard-based sauces and a tomato-based sauce that comes in mild and hot varieties. All are marketed as “low-sodium, gluten-free, fat-free, no fillers, no additives.” The feedback from consumers is positive because they appreciate the healthy profile of the product, Lloyd said. It’s not a barbecue sauce, he adds, though it could be used that way. Mainly, it’s a condiment that can enhance the flavor of meat, vegetables or even a salad. And because condiments are such a staple of the American diet—think salsa, ketchup and marinara sauce—Lloyd’s research has focused on enhancing the nutritional value of products like Num Num Sauce. Through his work in the pharmaceutical industry and his graduate training, Lloyd has come to see food as more than just something to eat. Functional foods or medicinal foods—even condiments—are foods enhanced to actually improve health. Lloyd is studying the processing of carotenoids—red and yellow plant pigments—and especially lycopene, a powerful antioxidant found in tomatoes. Because tomatoes are a key ingredient in many condiments, enhancing the absorptive properties of the lycopene could help sauce consumers avoid certain chronic diseases, Lloyd said. In his master’s program, Lloyd studied how inflammation, a physical condition in which the body reacts to injury or disease, is regulated by the body. Inflammation can be caused by free radicals, molecules that can damage healthy cells. But antioxidants like lycopene can help mitigate the effects of free radicals on the body, perhaps reducing the deterioration that comes with aging, Lloyd said. Lloyd said that working in both the pharmaceutical industries and food product development while in graduate school definitely helped him to understand and apply new skills as he learned them. Just hours after acquiring a new skill in class, he would be applying it to his work in industry or product development, he said. “This degree program has prepared me, has given me the theoretical knowledge and understanding of food science, food chemistry, food packaging, flavor chemistry. So I apply those concepts as an entrepreneur but also as a product developer,” he said. His company Amelioron Corp. is a product development and manufacturing firm based in Durham. He is interested in developing new food products, in addition to the Num Num Sauces, with enhanced nutritional value. By creating value-added products made from North Carolina agricultural commodities, he would like to help farmers to be more successful. Creating new markets for value-added products made from produce like tomatoes can help grow the state’s agricultural industry. In addition, Lloyd is studying odor reception signaling because our ability to detect or identify odors or scents determines how well we taste the foods we eat—no sense of smell means no ability to taste, or a limited ability to taste at best. By enhancing our ability to smell food, Lloyd believes he can influence the flavor profile of foods. In Schaub Hall on NC State’s campus, Lloyd works in Jon Allen’s nutrition lab. He also works with Mario Ferruzzi at the N.C. Research Campus in Kannapolis on carotinoid bioaccessibility. 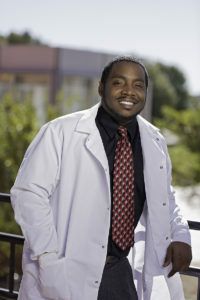 Lloyd said that he considers himself an entrepreneur first, who became a doctoral student to gain needed skills. 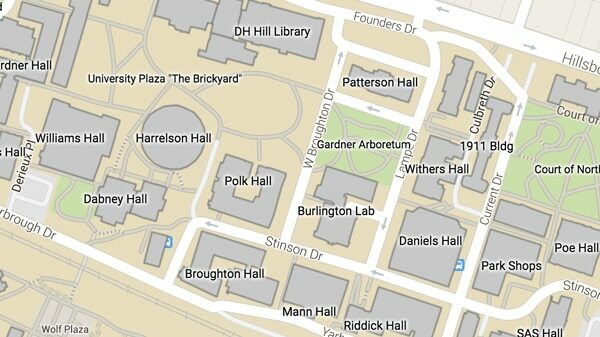 This post was originally published in The Graduate School News.